i’m dying over the capiz chandelier (from jamie’s shop, furbish) and the entryway in general. again, white walls, lots of light…it makes a huge difference. when i save up my pennies, i’m going to invest in a capiz chandelier like the one above (if not the exact one above) for my living room redesign. slightly beachy, effortless with a dash of bohemian. i like it. 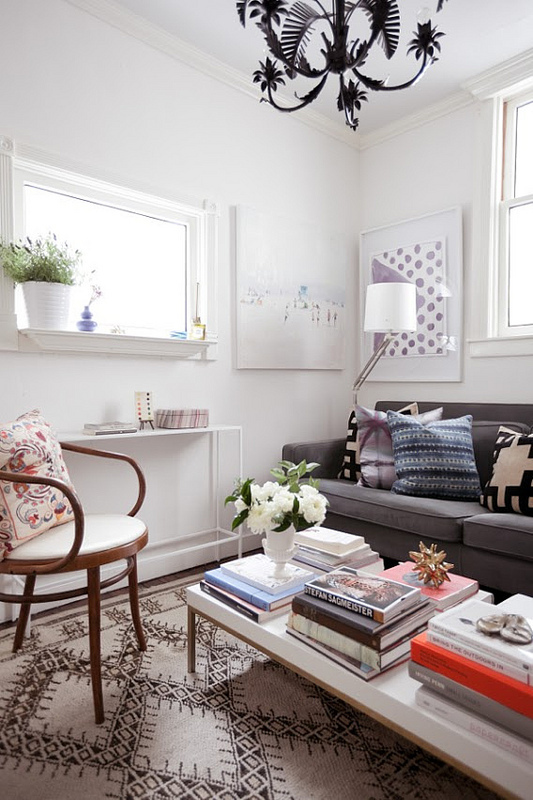 another view of the living room – love the art, and the pillows on the sofa are perfect. such a great muted color scheme – it’s neutral, but not at all bland. what i would give for windows like that. let’s talk about the photo above the bar cart turned bookshelf. 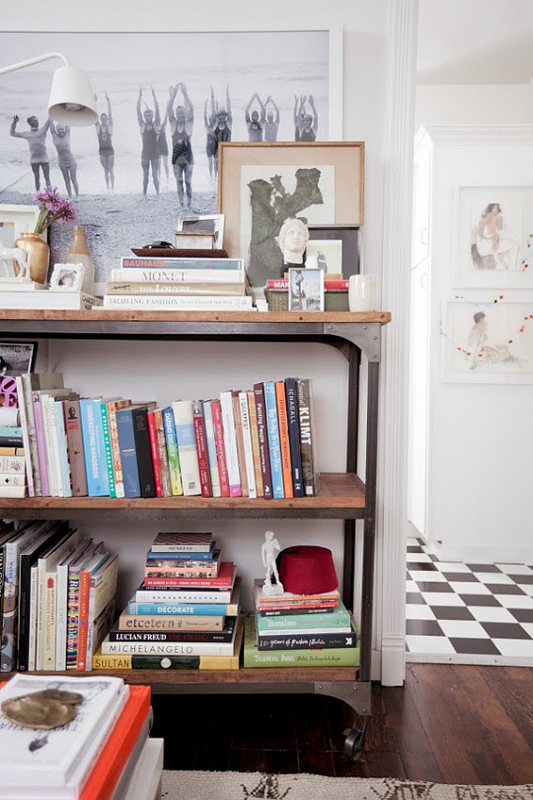 actually, let’s just talk about how much i want this bookshelf to be my bar cart and live in my apartment forever. industrial chic to the max, people. i’m forever lacking storage, and i have so many books in boxes at my parents’ house that i’d love to have with me here in new york. and i can just imagine a nice big tray sitting on that top shelf, filled to the brim with chevron paper straws and vintage glassware. le sigh. someday! 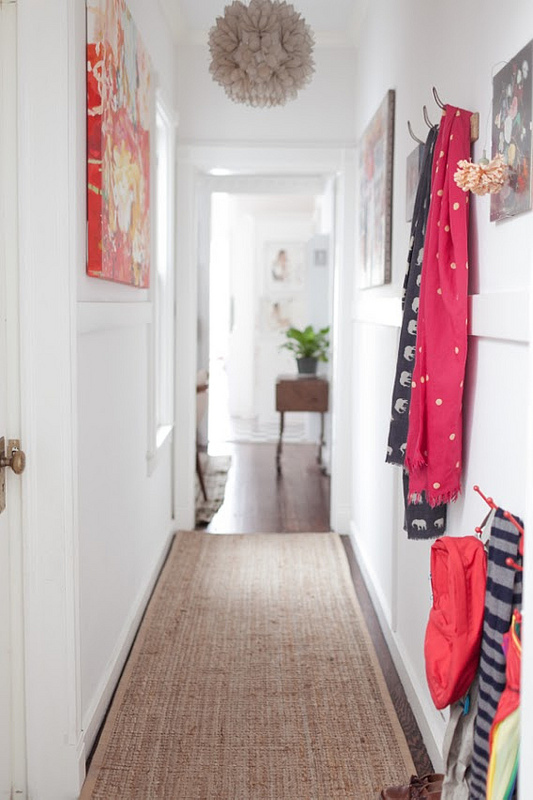 last but not least – let’s talk about the art in this hallway. i love it. it’s so serene. i love all white – white mats, white frames. it’s a look i’ll be incorporating into my gallery wall. so crisp and clean. i have a rather sizable hallway in my apartment that currently houses a college-era tjmaxx mirror, but i know i could do better. these shots are good inspiration, and might just give me the motivation i need to tackle my hallway next. for more eye candy, check out the full post on i suwannee.